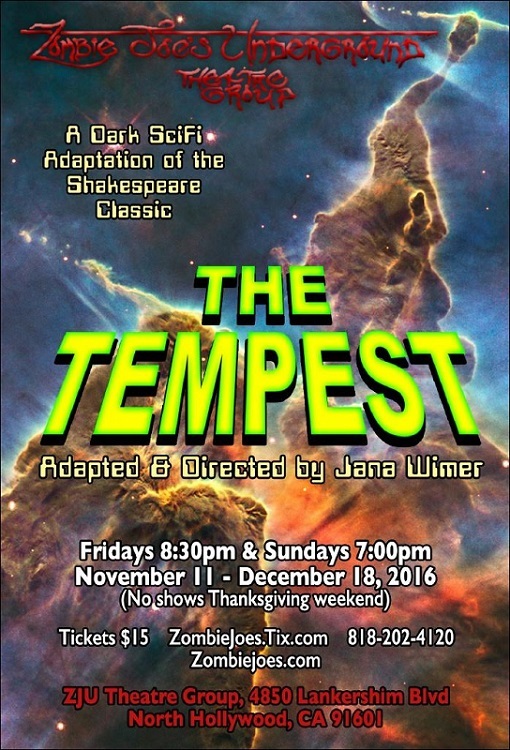 Zombie Joe’s Underground Theatre Group presents a one-hour, dark sci-fi version of Shakespeare’s The Tempest adapted and directed by Urban Death co-creator Jana Wimer, beginning November 11. Exiled to a primitive planet, the cruel and arrogant Prospero, using technology to enslave and control the natives, is given the opportunity to exact his revenge on those who wronged him. The production stars Bert Emmett as Prospero and Jonica Patella as Caliban, and is produced by Zombie Joe. Recommended for Ages 13 and up. Performances run November 11 – December 18, Fridays at 8:30pm and Sundays at 7:00pm. No performances Thanksgiving weekend, November 25-27. For the past 13 years, Independent Shakespeare Co. has brought free Shakespeare to L.A. audiences. This summer, they’re back in Griffith Park with two of Shakespeare’s most popular works: Richard III, directed by Melissa Chalsma, and The Tempest, directed by Matthew Earnest. LADC stars and celebrities at A Mid-City Night’s Dream gala at Studio 11, Nov 9, 2014 Los Angeles. Los Angeles Drama Club launches its 10th Anniversary Season on April 15 with a VIP Party at Lyric Theatre & Voila on La Brea. As part of the event, children ages 7-17 from both South L.A and Hollywood will perform opposite Alex Kingston (Dr. Who) and Diedrich Bader (Veep) in comedic excerpts from Shakespeare’s plays. 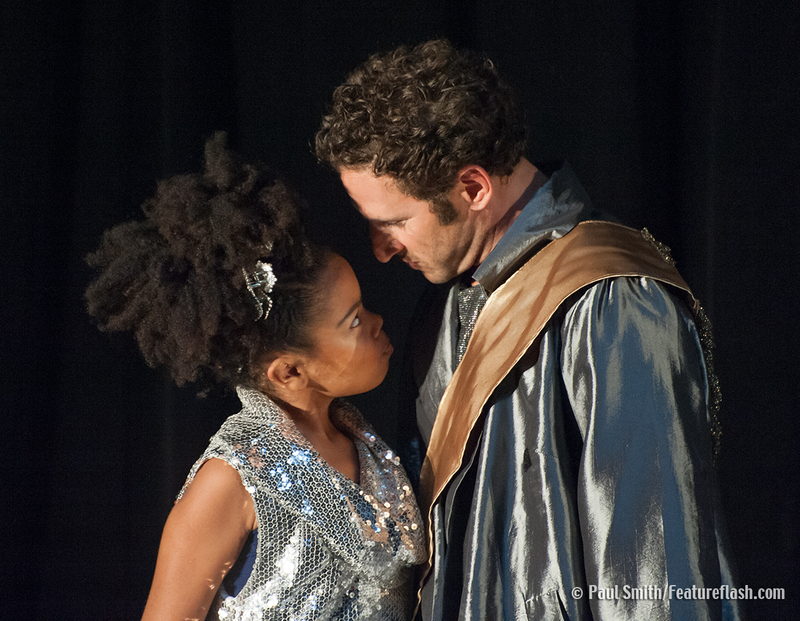 Following the performance, you’ll enjoy music, food, wine and visits from LADC’s young Players for some table-side Shakespeare. You’ll also be invited to participate in the company’s 10 Seconds of Shakespeare campaign, where you’re given a line of Shakespeare’s text to speak into your phone and post online on their Wall of Fame. Shakespeare knew the power of conjuring a storm that would turn the world upside down when he wrote The Tempest. He filled it with magic, fantastical elements, and resilient characters in an exotic location to create an unforgettable story of love, loss, redemption, and regret. Now, director John Farmanesh-Bocca reinvents Shakespeare’s masterpiece in the Odyssey Theatre Ensemble and The New American Theatre’s highly original production starring Jack Stehlin. Betrayed by his brother and cast away to live out his days alone on an island with his young daughter, Stehlin’s Prospero orchestrates a monumental series of events that will bring his usurper to him in order to set things right. But this is not your typical revenge play and you would do well to reserve judgement about what you think you see until the play has ended. In honor of El Niño, The New American Theatre and Odyssey Theatre Ensmble will present Tempest Redux, a perfect storm of comedy, romance, mystery and magic, beginning February 20. 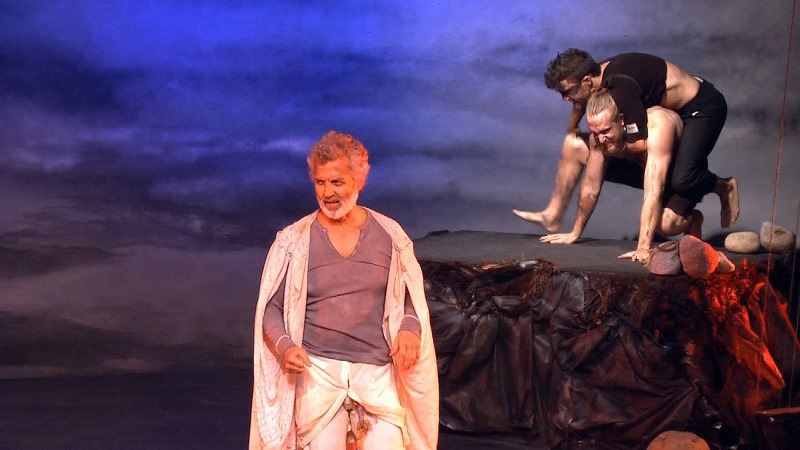 This reconstruction of Shakespeare’s The Tempest stars Jack Stehlin as Prospero and is adapted, directed and choreographed by Not Man Apart–Physical Theatre Company’s John Farmanesh-Bocca. It will explore Shakespeare’s father-daughter story of love and forgiveness with a potent blend of physical theater and verbal gymnastics. A cast of seven actors and three dancers will play multiple roles, while also sharing some of the same parts. 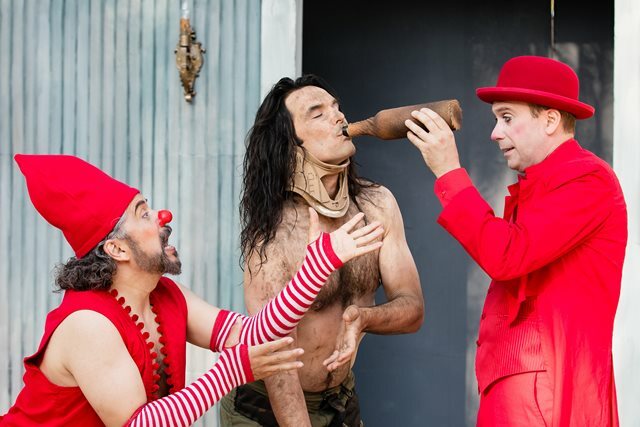 They are: Mimi Davila as Miranda and Hunter Paul as Ferdinand; Willem Long and Dash Pepin as a two-headed Caliban (Long also takes on the role of Sebastian and Pepin also plays Francisco); Dennis Gersten doubling as Antonio and Trinculo; and Gildart Jackson as Alonso, Gonzolo and Stephano. The role of Ariel is shared by three dancers: Mecca Vazie Andrews, Lilian Manansala and Emily Yetter. 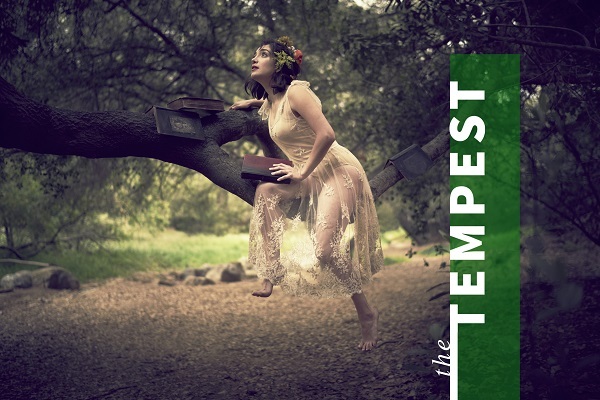 Cornerstone Theater Company returns home to Los Angeles with a Sunset Celebration of California: The Tempest, an evening of theater under the stars June 18 – 20 in Downtown Los Angeles’ beautiful Grand Park. 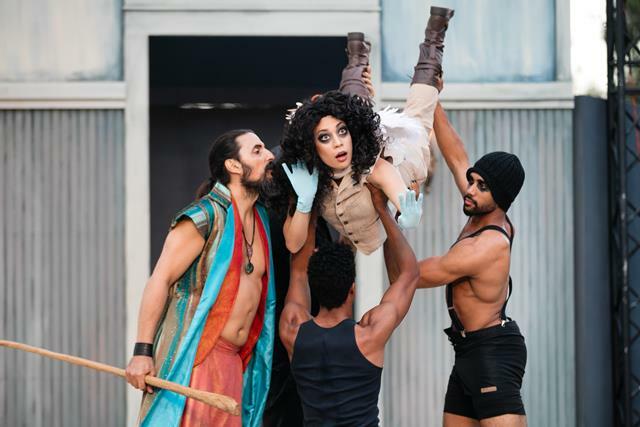 This celebratory event will be the culmination of the company’s California Bridge Tour, a yearlong statewide touring production of California: The Tempest and their final performances with a breathtaking view of downtown Los Angeles. 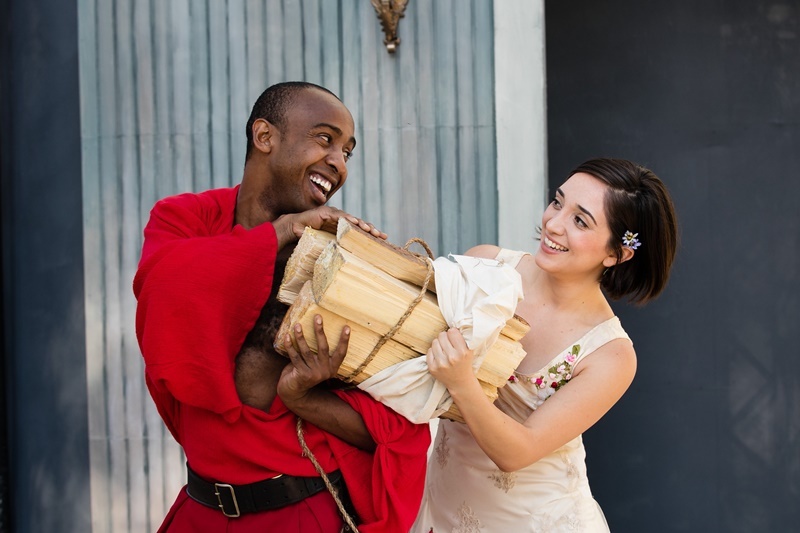 In California: The Tempest, “What’s past is prologue,” as playwright Alison Carey’s adaptation of The Tempest meets California’s challenges head-on in this traveling experience that conjures love, disaster, revenge, forgiveness & music (all that you would expect from Shakespeare! ); mixed with earthquakes, drought, overdevelopment, food equity, state politics, fracking and immigration policy (all that you would expect from California!) as Prosper, her daughter Minerva, her servant Caliban and Californians from across the state yearn to find the commonality in our diversity and imagine a healthy and inclusive future for California. Don’t miss this very special event. 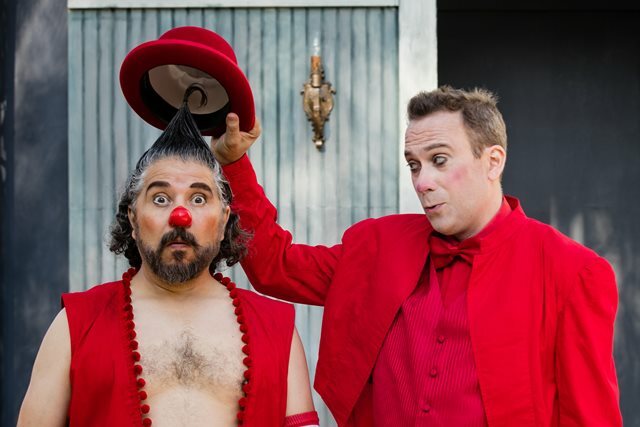 After stops in six diverse California cities, Cornerstone Theater Company begins the last leg of its year-long tour of California; The Tempest, a world premiere adaption of Shakespeare’s The Tempest, written by Cornerstone Co-Founder Alison Carey and directed by its Artistic Director Michael John Garcés. The final stretch of the journey heads to Eureka (at the Blue Ox) from May 21- 23; San Francisco (at the Z Space) June 4 – 6; and then makes its triumphant return home (to where it all began! 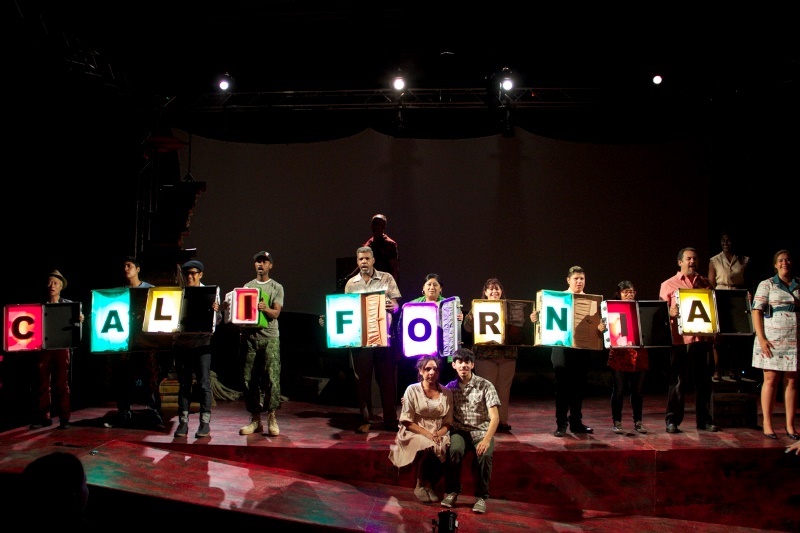 ), with performances June 18 – 20, at Grand Park in Downtown Los Angeles. 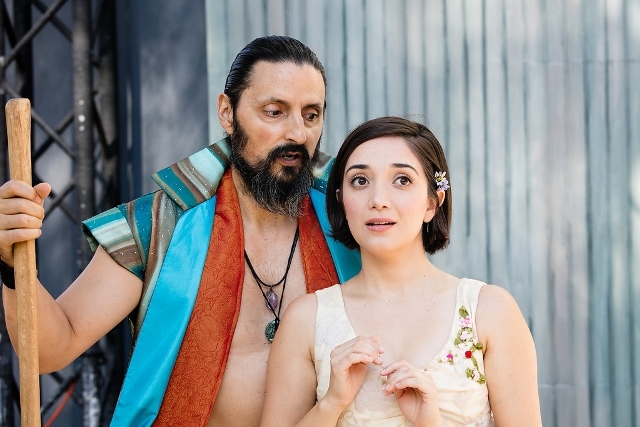 Cornerstone Theater Company continues its world premiere adaption of Shakespeare’s The Tempest, titled California: The Tempest, written by Cornerstone co-founder Alison Carey and directed by its artistic director Michael John Garcés. 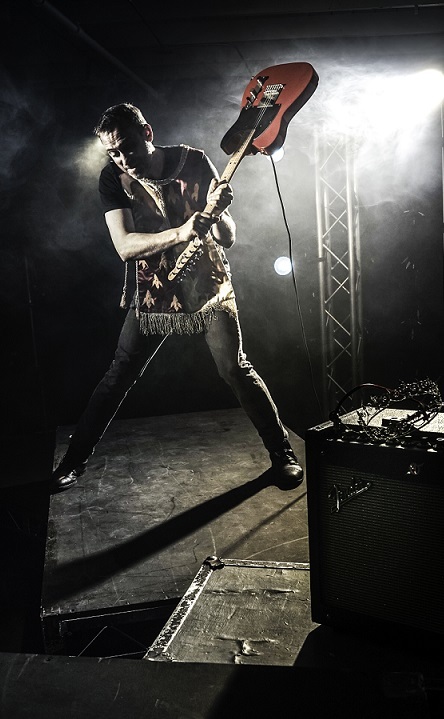 The year-long tour performs in ten diverse California cities on a journey that began in 2014. Join Cornerstone as they move from the downtown Los Angeles Arts District to Arvin, Lost Hills, Grayson & Westley, Pacoima, East Salinas, Fowler, Holtville, Eureka, San Francisco and then back to Downtown L.A. (where it all began) as each of these ten communities contributes to writing the play they inspire.